During the conference, Epic Games at GDC 2019, the publisher Funcom has revealed the arrival of the strategic turn based Mutant Year Zero on Nintendo Switch, also reporting the release date: June 25, 2019. In short, at the beginning of the summer, the owners of the console hybrid of Nintendo can play with the wonderful strategic developed by The Bearded Ladies, one of the few strategic, able to rival with the series XCOM. The Nintendo Switch to Mutant Year Zero will contain the expansion that the owners of the PC versions, the Xbox One and PS4 will have to buy separately. 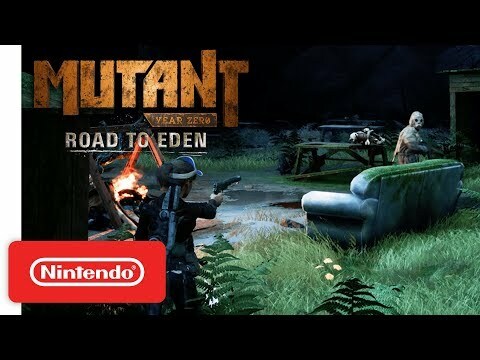 Mutant Year Zero: Road to Eden uses mechanical that we know well, but places them at the service of a dimension stealth that influence pace and degree of challenge of a turn-based strategy that works well regardless of the level of difficulty chosen. The result is a different title, long-lived and intriguing, a long and intense journey that we have lived with the great transport, aided by an audio-visual system with high-impact. Not all of the title of The Bearded Ladies is finished to perfection and the magnificence technique makes us pay the bill because of an optimization that is anything but excellent. But we trust that some patch could finish a title that, in addition to flaunt an attractive price, is available in the Xbox version One also in the catalog Game Pass Microsoft.